Weeds. No, I am not talking about pot, I’m talking about those little pesky plants that feed off of the plants you are growing. If you have a garden, weeds can be an annoyance that could be keeping it from really taking off. They can eat away at your wonderful plants, vegetables and fruits. Now many people will no doubt turn to herbicides to deal with these weeds. However, herbicides are extremely bad for the environment. Good news though, there are plenty of natural weed killers out there that will keep your garden and home looking luscious and beautiful. Weed killers are a necessity for most garden growers and most home owners. 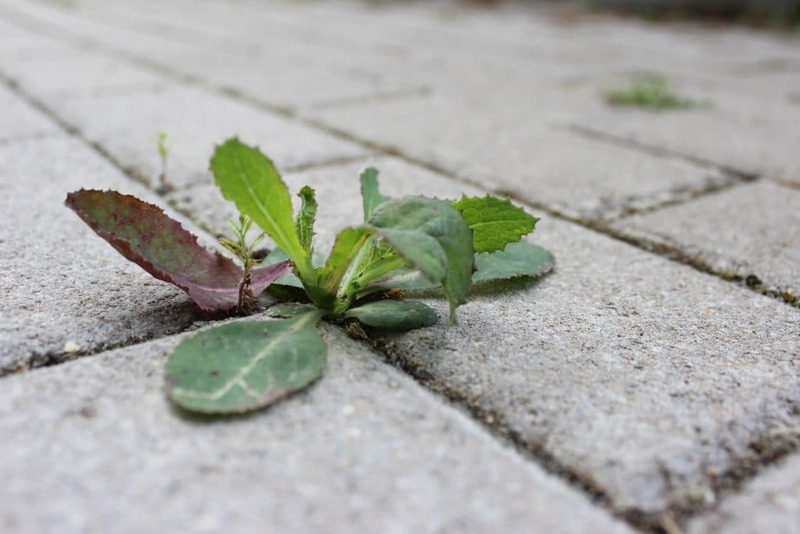 Weeds can hinder your plants from growing and blooming and make your walkway and driveway look ugly. However, chemical weed killers are just as damaging to your plants as the weeds are, if not more. Not to mention, they are bad for the environment as they contribute to soil and water pollution. However, there are certain natural ingredients that when mixed together create just as good of a solution to your weed problem, as the commercial brands. Not to mention, natural weed killers are much cheaper. There are some commercial weed killers that have components that will break down in the soul in just a few days, while others can linger in the ground for months or even years. They can leech into the root systems of nearby plants, and trickle down to the water table. And since all water runs into a larger water source, those herbicides will most likely end up in nearby lakes or rivers. There are a few different types of herbicides that people choose from. However, while they may kill the weeds for you, they can also harm other plants that you did not intend to damage. There are many herbicides that are nonselective. This means that if they are not used correctly, you could end up killing not only the weeds, but the plants in your garden, the grass and greatly hurting the soil in which everything grows. Many nonselective herbicides use glyphosphate, often sold as Roundup. Glyphosphate is used to treat almost every mass crop field in the US. It was often thought that Roundup was the best herbicide, however, chemicals are never good for the environment. A recent USGS study which sampled waterways in 38 states, found that glyphosphate was present in a majority of the rivers, streams, ditches, and wastewater treatment plant outfalls. The chemical was also found in about 70% of rainfall samples. Though there was little of the chemical found in the groundwater, because it binds tightly to the soil, when that soil is swept off the fields, the could be washed into nearby bodies of water. Luckily, commercial weed killers are not the only answer out there. People have come up with plenty of different and unique ways to kill off unwanted weeds, while preserving the environment along with the rest of your garden. By far the most popular is the vinegar weed killer. Because of its acetic acid, it is perfect for killing off vegetation. However, it can also damage the surrounding plants, so you have to be careful. Here are the best ways to kill weeds. Vinegar- as just recently said, vinegar is a great natural weed killer. It is cheap, environmentally safe and did I mention cheap? You know how much Roundup is?! A 2.5 gallon bottle on Amazon is $77.13. 64 ounces of Heinz White Vinegar will cost you $3.25. The choice is yours. Mulch- Layering mulch with newspapers or cardboard will end up smothering the weeds that are currently invading, as well as stop the next generation of weeds from growing. Mulching also provides great nutrients for your plants to grow. Boiling Water- Yup, that’s right. Boiling water has other uses besides cooking pasta and hard boiling eggs. The scalding water will actually destroy most vegetation. This should be used carefully as not to burn yourself or harm the surrounding plants. Using a funnel or a narrow spout is ideal, unless you have really good aim. Cornmeal- By scattering this stuff over your soil, you can prevent all sorts of weeds including crabgrass, dandelions, and chickweed. Cornmeal gluten acts as an organic herbicide and it is free of any toxic chemicals. Rubbing Alcohol- Mixing two tablespoons of rubbing alcohol with one quart of water and pouring it into a spray bottle will give you a pretty great weed killer spray. The alcohol removes the moisture the weeds need to survive. Any alcohol will work but why waste good booze on your garden. Instead, save those booze for drinking to forget the stress and annoyance brought on by the weeds. Baking Soda- Another pantry weed killer. This is really useful when getting rid of those weird weeds that grow in between the cracks of your deck, driveway or walkway. Clove Oil- By mixing with water, this remedy is best used on weed seedlings. Salt- This is another ingredient that is often mixed with vinegar in a DIY weed killer spray. However, you can also use it just with water using a 3:1 solution and pouring it in a spray bottle. It can also be used just on its own, by applying directly on the unwanted weeds. Landscape Cover- Since it is truly annoying to come out one morning and see a bunch of weeds have sprung up overnight, a good idea is preparing for them. Laying down a landscape fabric, topped with mulch or straw will help keep weeds at bay. Goats- If you are in an area where you have a good amount of land, buy the natural weed predator, goats. 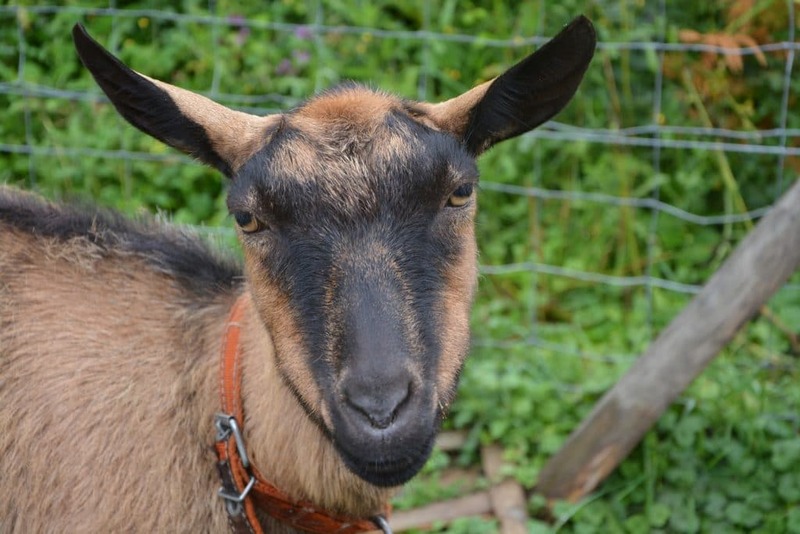 Goats graze everywhere and will get rid of most if not all of your unwanted weeds. Don’t let them near your garden though, because it will be gone in about 5 minutes. Become a Weed Eater- No, I do not mean eat marijuana. That’s not a good idea. I mean digging out your weeds in your garden or walkways and making a salad. 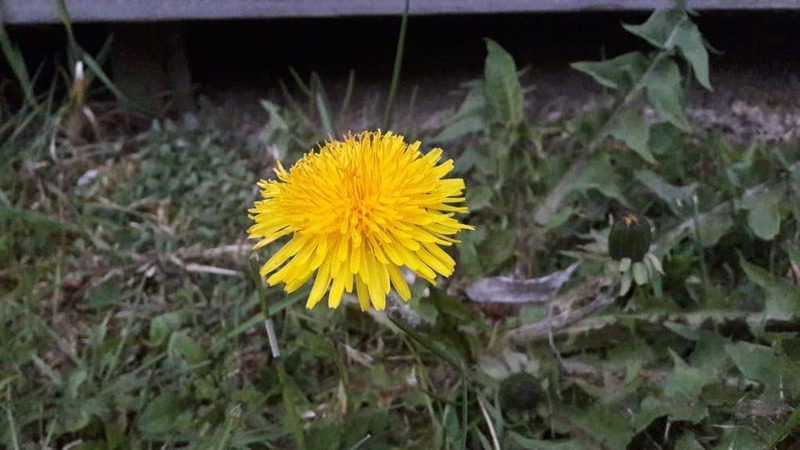 There are a lot of weeds that are edible and taste pretty good, including dandelions, dock, and chicory. But, before you go digging up all your weeds for your lunch, look up which ones you can eat and which you can’t. Otherwise, it may end badly. Pull Them- Lastly, the simplest and oldest method. Pulling them yourself. That’s right, putting some elbow grease into your garden. It is the best way to kill weeds and most simple way to get rid of only the weeds. Now, each of the methods and items above can be used on their own to kill weeds. However, there is an even better way that involves mixing a few ingredients together. Here are the ingredients you will need. First, White vinegar. Just ordinary, distilled white vinegar with 5% acidity. It is super cheap (see first bullet above) and you can find it almost anywhere. If you can find a vinegar with a higher acidity, even up to 20%, that will work much faster. Second ingredient is table salt. Just normal iodized salt. Epsom salts will also work, but the end result will be pretty much the same, Epsom salt may work a bit faster. Lastly is dishwashing soap. The brand of this soap does not matter, but it is always great to buy organic. The purpose of the soap is to break the surface tension of the vinegar so it sticks to the weeds, forcing them to absorb it more readily. Now, there are two recipes that use these ingredients. The first one is for areas that you want to plant in. The recipe for this one is as follows. Fill normal garden sprayer with white vinegar and add about one teaspoon of the dishwashing soap. Place the sprayer top on the bottle and you are good to go. Just be sure to be careful where you are spraying, as this can also harm regular plants. It is best to pick a hot, dry day to spray the weeds. If you did everything correctly, they should begin to wilt and shrivel up within a few hours. A great benefit of this is that the vinegar will not harm the soil itself, so you can replant the area after the weeds have died. For extra measure, you you can dig up the dead weeds, so you can be sure none will sprout up again. Repeat as necessary. This next recipe is for any area where you want to completely annihilate any weeds and their future generations. This is good for walkways or driveways that usually get weeds and make everything look ugly. For this recipe, mix two cups of epsom salt with one gallon of white vinegar. Remember, higher acidity vinegar will work faster. Place the lid on the spray bottle and shake until the salt completely dissolves. Add one teaspoon of the dish soap and then you are ready to go. The addition of the salt is necessary because it will eventually bring a permanence to your weed destruction. Which answers the question, what kills weeds permanently. The salt will penetrate and leach into the soil. While it may take a few applications, the presence of the salt will “sterilize” the soil in this area so that nothing will grow there. So be sure you never want anything to grow in the area you plan on using this recipe. Even though this recipe sterilizes the soil, it is still non-toxic to animals and humans. So, with all of the negative effects that chemical herbicides and pesticides have, choosing to go the natural route is much safer for the environment and much easier on your wallet. With just a quick google search, you can find literally a hundred or more natural weed killer recipes and tricks. Though, the bulk of the recipes use the same ingredients as the one featured here. So what are you waiting for? Go kill yourself some weeds!